Modern Shanghai: a global city in the midst of a renaissance, where dreamers arrive each day to partake in a mad torrent of capital, ideas, and opportunity. Marketplace's Rob Schmitz is one of them. He immerses himself in his neighborhood, forging deep relationships with ordinary people who see in the city's sleek skyline a brighter future, and a chance to rewrite their destinies. There's Zhao, whose path from factory floor to shopkeeper is sidetracked by her desperate measures to ensure a better future for her sons. Down the street lives Auntie Fu, a fervent capitalist forever trying to improve herself with religion and get-rich-quick schemes while keeping her skeptical husband at bay. Up a flight of stairs, musician and café owner CK sets up shop to attract young dreamers like himself, but learns he's searching for something more. As Schmitz becomes more involved in their lives, he makes surprising discoveries which untangle the complexities of modern China: A mysterious box of letters that serve as a portal to a family's  and country's  dark past, and an abandoned neighborhood where fates have been violently altered by unchecked power and greed. A tale of 21st century China, Street of Eternal Happiness profiles China's distinct generations through multifaceted characters who illuminate an enlightening, humorous, and at times heartrending journey along the winding road to the Chinese Dream. Each story adds another layer of humanity and texture to modern China, a tapestry also woven with Schmitz's insight as a foreign correspondent. The result is an intimate and surprising portrait that dispenses with the tired stereotypes of a country we think we know, immersing us instead in the vivid stories of the people who make up one of the world's most captivating cities. THE STREET OF ETERNAL HAPPINESS is two miles long. In the winter when its tangled trees are naked of foliage, you can see past their branches and catch a view of the city's signature skyline in the distance: The Jin Mao Tower, the Shanghai World Financial Center, and Shanghai Tower. The three giants stand within blocks of one another, each of them taller than New York City's Empire State Building. There's an intimacy about the work that draws readers into the stories; like the author, we come to know these people as friends, with all their complexities and foibles. It's a truly remarkable narrative and I can't recall many authors who are able to work that kind of magic. (Reviewed by Kim Kovacs). Poignant [and] enjoyable… Schmitz’s eye for scenes and ear for dialogue give an immediacy to his stories that more expository works often lack. A portrait of China from the stories of a single Shanghai street…a poignant microcosm. Probing human-interest stories that mine the heart of today's China. Weaving a gripping narrative peppered with historical facts, he leaves readers with an intimate glimpse into a culture undergoing a complex transformation. 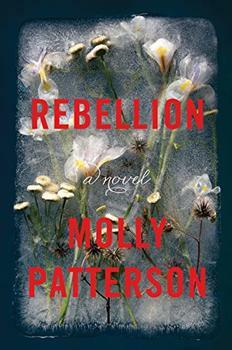 Starred Review. A brutally revealing, yet unexpectedly tender, slice of Shanghai life. This beautifully conceived and written book conveys the joys, the tragedies, the comedy, and the vivid humanity of modern China. Street of Eternal Happiness is a marvel of place-based reporting. This single road illuminates the complexities, contradictions, and funny wonder of today's China. This book is really about family - the most eternal force on any street in the country. Reading this is as close as most people will come to living there. Schmitz peels back the layers of a single street to discover ambition, reinvention, faith, corruption, murder, and heartbreak. In this intimate and revealing book, a two-mile stretch of road embodies the dreams and dramas of modern China. Rob Schmitz is a master storyteller who leads his readers into the heart and history of modern China. Street of Eternal Happiness is, in turn, funny, moving, tragic and - ultimately - emotionally satisfying. At last, an intimate look at daily life in contemporary, convivial Shanghai. All great cities have a great book that captures their rise or fall; Street of Eternal Happiness is Shanghai's. 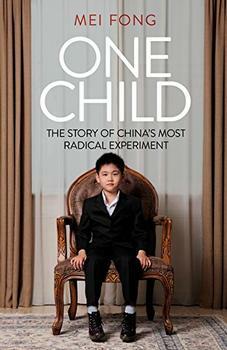 A kaleidoscope of Chinese history, from famine and Cultural Revolution to one-child policy. Above all, these tales illustrate the perils and hopes of living the Chinese Dream, written with penetrating insight and charming fluidity. A delight. Street of Eternal Happiness: a thoroughfare of aspirations and dreams, hard earned successes and sadly thwarted hopes where Schmitz encounters the ghosts of China's troubled past, the hard working yet wistful dreamers of today, and those whose sights and visions are firmly fixed on China's, and their own, future. "Rob Schmitz has crafted a deeply empathetic marvel of a book. Alternately poignant and humorous, it has much to offer anyone who has been to Shanghai, thought about going there but not made it yet, or simply wants to get a better feel for the rhythms of life in twenty-first century China. Schmitz has found a brilliant way to illuminate the big price little people pay for the profound changes reshaping the world's most populous country. The Street of Eternal Happiness, or Changle Lu, is the subject of Rob Schmitz's book and also his home. It is located in Shanghai, which means "City on the Sea" in Chinese. Shanghai is located on a delta of land on the country's eastern coast, where the Yangtze River empties into the East China Sea. Home to over 24 million people (2014), it is the most populous city in the world.